On the one hand my feet are itching to go hiking again, especially since the first trees have started blooming a couple of days ago. Spring is in the air! Also during my sedentary months here in Berlin I have been doing nothing else but sit in front of my laptop doing internet research - and putting on weight..... When I tried on my hiking clothes for this trip I was disgusted to see how fat I have become. If I don't start hiking soon I will be rolling instead of walking. I am also thoroughly fed up with internet planning. I have been doing so much research on all the various upcoming trips that it will be a relief to be actually outside instead of just planning to do it. On the other hand I have had a fantastic time here in Berlin - after a rather stressful start with accommodation problems and lots of bureaucratic hassle. But after I had found myself a room of my own in January things had taken a very positive turn. 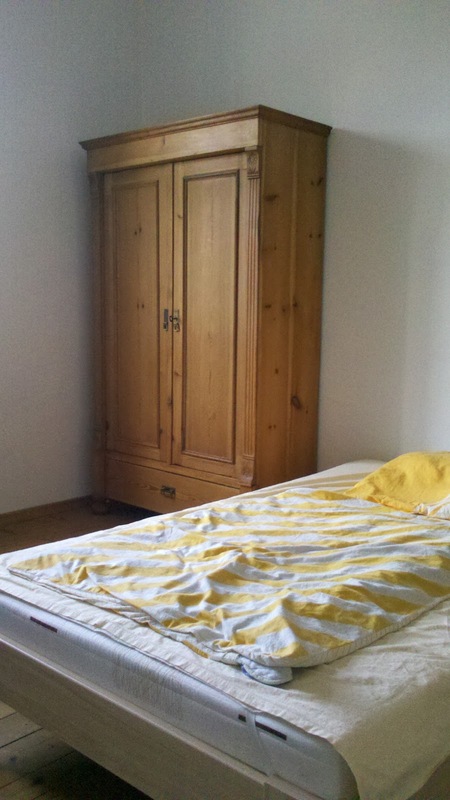 I have been very lucky with my new accommodation, a very nice and quiet room in my old neighbourhood in Berlin. 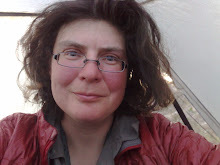 Having lived in a tent for so long I enjoyed the luxuries of civilisation to the fullest and I truly appreciated having a real bed, a table and a chair. For most people this may sound weird, but if you are sleeping on a sleeping pad in a tent 250 nights per year a bed becomes total luxury. I woke up almost every morning thinking how lucky I had been to find this lovely place. I enjoyed thoroughly sleeping in in my nice bed, surfing the internet for hours on end and cooking in a real kitchen. I will be missing this temporary home and hope to come and stay again some other time. Although I have done long trips so often now I am still very nervous before departure. I started sleeping fitfully thinking about all those things that can go wrong. As usual I have developped a health problem and this time my teeth are hurting - but according to my dentist (and my experience with former departures!) this problem only exists in my mind. Still I can hardly eat (which is good for losing some extra weight) and feel sick. I does not help that I caught a bad cold a week ago from which I am still recovering. Weather has been fantastic the whole last week but it is just my luck that when I start out on my hike winter has come back. Weather forecast predicts snow fall and sub freezing temperatures for the Erzgebirge, where I will start my hike. I had been watching the webcams there for quite a while. Skiing season has only closed three weeks ago there and with great relief I saw the snow melting day after day on the ski slopes there - only to see this morning that it is all snow covered again now. My equipment is geared towards summer hiking and not really fit for camping in sub freezing temperatures. I have therefore packed a couple of extra clothes that are so old that I can ditch them when the weather warms up. Last but not least I want to thank all the people who have helped me during my 4 months stay in Berlin by sending me maps, guidebooks and equipment, giving me advice on new gear and logistics and helping me with computer and other technical problems. Thank you so much!